Decorative John Mayer signature with a Sitka top and beautifully figured Cocobolo on the back and sides. Stunning! We're always thrilled to be able to present used Martins in fantastic condition but this one is truly special for us. The appointments, construction, and tonewoods on this guitar are second to none, offering a look and a sound that nothing else out there can approach. The rosette/fingerboard detail, the fingerboard inlay, and, of course, that stunning, vibrant Cocobolo offer the eye a treat every where you look. And then there's the tone--you get the uncanny feeling that this little guitar is moving more air than that box can possibly support. Cocobolo offers a fantastic blend of richness and clarity that comes across most notably in the bass and low-mids. Crystalline highs float effortlessly atop the dynamic spectrum on waves of sustaining, natural reverb. This "00" 12-fret guitar boasts solid cocobolo sides, back and headplate, gorgeous "42" style appointments, and is inspired by the 00-45SC built in collaboration with John Mayer in 2012. The "SC" stands for stagecoach, harkening back to an era when guitars were taken on trains, wagons, and horses for bringing people together in song. 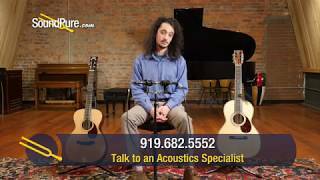 For well over a century and a half, The Martin Guitar Company has been continuously producing acoustic instruments that are acknowledged to be the finest in the world. The Martin Guitar Company has, through the years, managed to survive with each succeeding generation from C. F. Martin, Sr.?s Stauffer influenced creations of the 1830s to recent developments introduced by C. F. Martin IV. Continuous operation under family management is a feat bordering on the remarkable, reflecting six generations of dedication to the guitarmaker?s craft. In or out of the music industry, C. F. Martin has few rivals for sheer staying power. Throughout its colorful history, the company has adapted successfully to continual changes in product design, distribution systems, and manufacturing methods. In spite of the many changes, C. F. Martin has never veered away from its initial commitment to quality. The concern for producing the finest instruments possible in 1833 is especially evident today at Martin?s expanded facility in Nazareth, Pennsylvania. 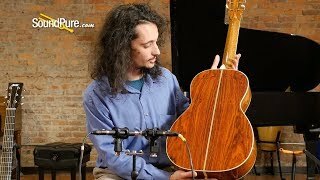 The story behind one of America?s most famous guitars began on January 31, 1796, in Markneukirchen, Germany, with the birth of Christian Frederick Martin, Sr. Born into a long line of cabinet makers, Christian Frederick took up the family craft at the early age of 15, when he left his hometown and traveled to Vienna to apprentice with Johann Stauffer, a renowned guitar maker.